A deaf footballer who plays for Northampton Town Ladies, has beaten the likes of Serena Williams and Heather Watson to be named the Sky Sports sportswoman of the month. Claire Stancliffe recently returned from the Deaf World Cup with a bronze medal. The footballer, who is also a coach for Northamptonshire Sport, then found out she was up for another accolade after being one of six nominated for the title of Sky Sports sportswoman of the month for July. Voting closed yesterday and the results were announced this morning with Claire thrilled to win the title. Many people have been congratulating her on social media, including the former England, Liverpool and Aston player Stan Collymore. 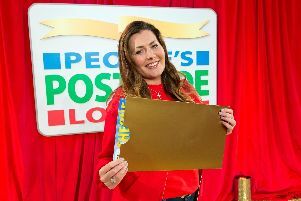 Claire tweeted shortly after finding out she had won to say: “It’s official. “@SkySportsNewsHQ Sportswoman of the Month. Claire is deaf and uses a Cochlear implant to support her hearing. She has played football for more than 10 years in mainstream teams within Northamptonshire as well as for the GB Deaf women’s football team. The GB deaf team’s players are self-funded so they have to embark on major fundraising to support them through tournaments such as world cups and the deaflympics. At the end of 2015, the team found out they had qualified for the Deaf World Cup in 2016. Claire, as captain of the side, embarked on a large scale campaign on social media to raise funds to get the team to the World Cup. Her aim was to raise £10,000, but she helped the team raise an incredible £25,000, working tirelessly to secure sponsorship, kit, funding and organising training within this. She managed to get a £5,000 donation from Stoke City and England International Jack Butland and was even recognised on BBC Breakfast TV for her fundraising efforts. Last month, Claire captained the team to a bronze medal at the Deaf World Cup, a huge achievement given that many of the players are self-funded and playing in the lower football leagues. Speaking last week after finding out she had been nominated, Claire said: “This is absolutely crazy and a huge milestone for deaf athletes. “I am up against the likes of Heather Watson and Serena Williams. “I probably don’t stand much chance of winning but please could you all go on the link below and vote for me. Claire is a midfield player and the World Cup bronze was the fourth major medal of her career.